This is a fun and easy class for beginners or a great workshop environment for those who want to get along with a project in a helpful and friendly group with guidance from an expert. 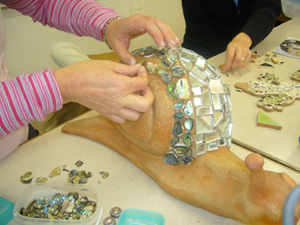 Learn the relaxing art of decorating objects with mosaics e.g. 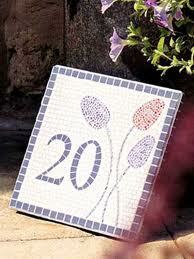 plant pots, mirror frames, letter box, house numbers, stepping stones, a wall plaque or outside wall hanging. A good way to keep that broken favourite piece of crockery that you can’t bear to throw away. Maybe decorate a garden ornament which needs bringing back to life. 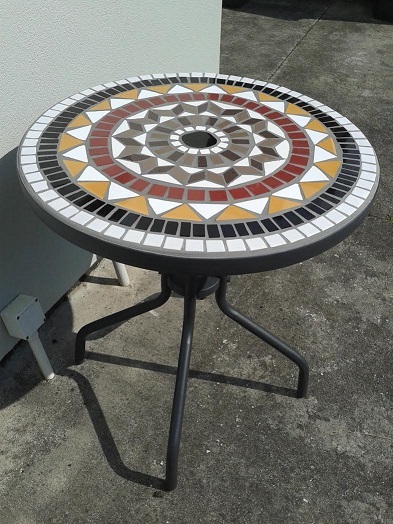 During this course you will learn to cut and break tiles, glue and grout before going onto your own project. Save your broken tiles and join in the fun. See the photos below for ideas. 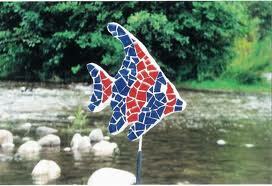 Try garden centres, hardware stores, tile shops, mosaic suppliers, the Warehouse for items to tile. 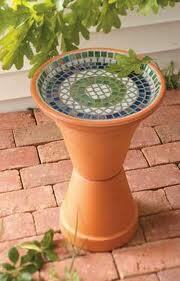 Pots should not be glazed or adhesives will not stick well. 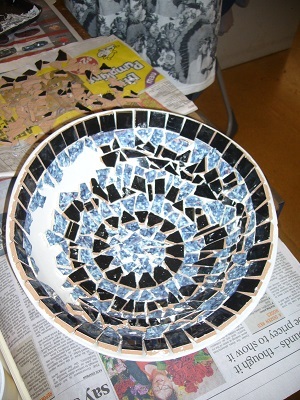 Broken crockery can also be used and coloured glass/mirror is ok but a bit more dangerous to use. Small stones or glass pebbles can be found at $2 shops. You can use most things that won’t disintegrate with time such as shells or similar. 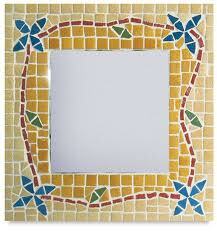 If you are confident with your project choice, you can bring your own mosaic media (tiles/tesserae/crockery etc). For those less confident, Barb will bring a selection of tiles for you to purchase. As an indication, tiles for a small project might cost $10 - $20. Barb will also have adhesives and grout available to purchase. If you have your own tools, please bring these. Barb will also have a selection of tools available to use. If you need further information or advice, please call the office on 5219623. 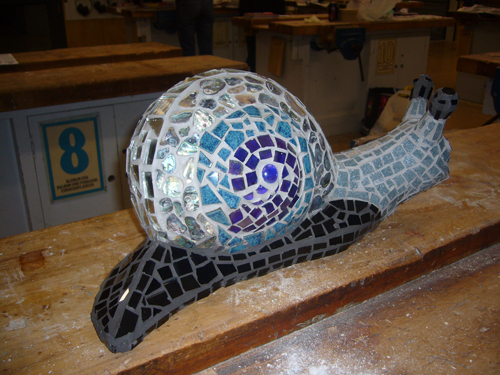 You can seach on the internet for images of mosaic for ideas, plus the libraries have books to borrow. "A most enjoyable course with an enthusiastic and knowledgeable tutor. 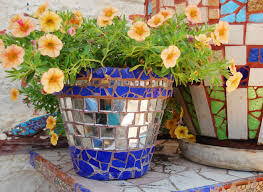 Useful for beginners and people who have some mosaicing experience." From 31 August 1 September weekend workshop with Barbara: "Enjoyed that it was over a weekend and we could leave our projects" "Enjoyed the helpful teacher and learning a new skill" "Enjoyed the interaction with others in the class" "Enjoyed the patience of the teacher and the autonomy of setting projects". From Oct/Nov 2013 class with Barbara: "Enjoyed the creativity of meeting with other like-minded people" "Enjoyed learning a new craft" "Fantastic tutor, very patient and good clear explanations"
Who should attend: anyone who would like to learn an interesting, relaxing and fun hobby, wants to meet new people and achieve the satisfaction of making something that is truly yours.